How the heck did it even get in there? 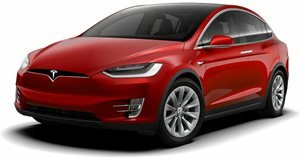 One of the nice things about owning a Tesla Model X is that the car doesn't make a sound when it's turned on or while driving. Tesla owners are used to their cars being completely silent, so you can imagine the surprise of this owner who found his Model X making an odd noise. The owner walked out to his garage and heard a meowing noise coming from somewhere near his car. The owner claims that he does not have a cat and in case we need to remind anyone, Teslas aren't supposed to meow. Clearly something was wrong. The owner posted his morning discovery on his YouTube channel called S U. A cat can clearly be heard from somewhere within the car, but the owner can't see where the noise is coming from. The next video shows the owner taking the car to a Tesla service center. We doubt that the service technicians have ever had to pull a cat out of a car, but they do their best to get it out. The kitten is understandably frightened and puts up a small fight, but the tech is able to pull the adorable animal out unharmed.